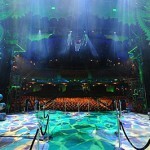 WICKED Officially Opens In Sydney! 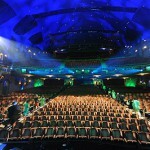 On Saturday 12 September WICKED had its official opening at Sydney’s Capitol Theatre. 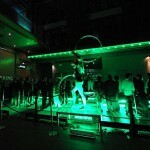 The night began with celebrities arriving in their most WICKED attire – green frocks and suits abounded. 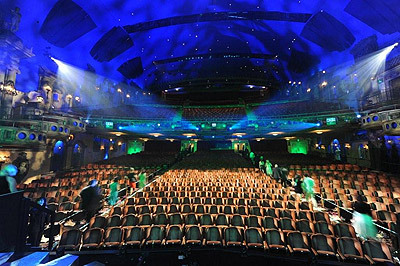 The Capitol Theatre was illuminated with an emerald green glow and the WICKED spot lights could be seen all over Sydney. The premiere performance was electrifying. 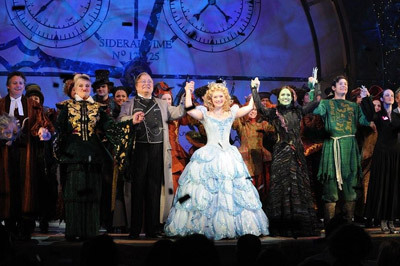 The entire audience stood to applaud the wonderful, talented cast who had delivered such a sensational show. 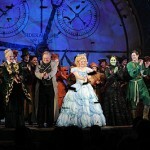 After the lengthy standing ovation, guests were escorted down the green carpet to the stage door entry point. 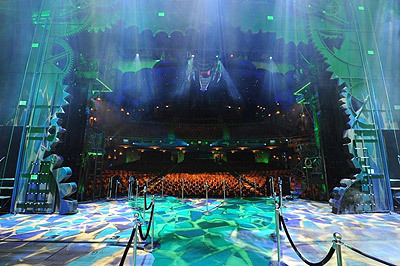 Party attendees were then given a sneak-peek of the backstage area and shepherded across the stage where they could get up close and personal with the costumes, props and the famous fire-breathing Time Dragon. 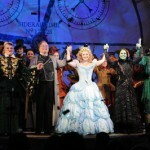 The cast were announced and everyone raised their glass in a toast as the company entered down the marble staircase. 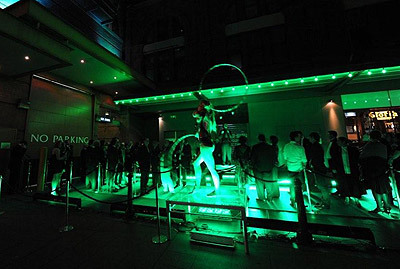 The festivities continued into the wee hours – it was a thrillifying night of rejoicification. 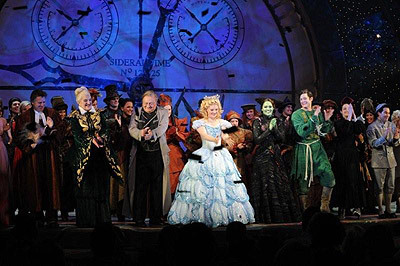 Congratulotions to the cast and crew of WICKED!